This project uses bespoke photography to raise the credibility of the business. Many images show the high level client base that the company works for. Also the uses of client logos and emblems and the use of testimonials and further credibility. Calls to action are placed on each page to prompt the page viewer and potential client to make contact. 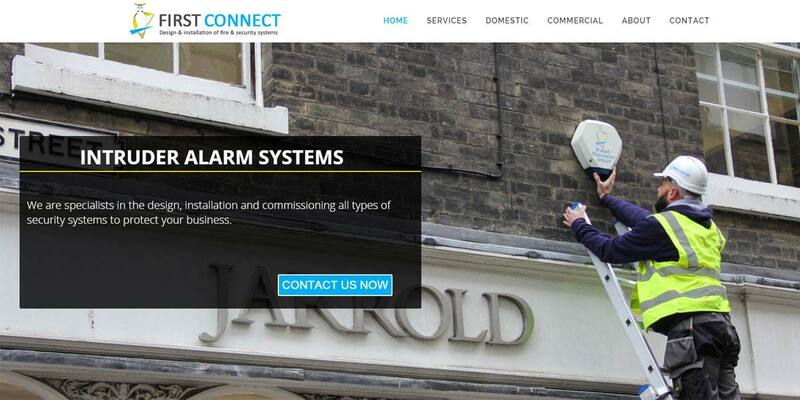 First Connect Fire and Security Ltd.